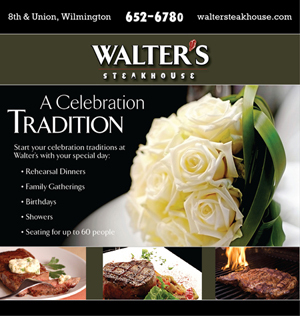 Walter's, "the oldest steakhouse in Wilmington," has been host to connoisseurs of excellent steaks, seafood, and spirits. 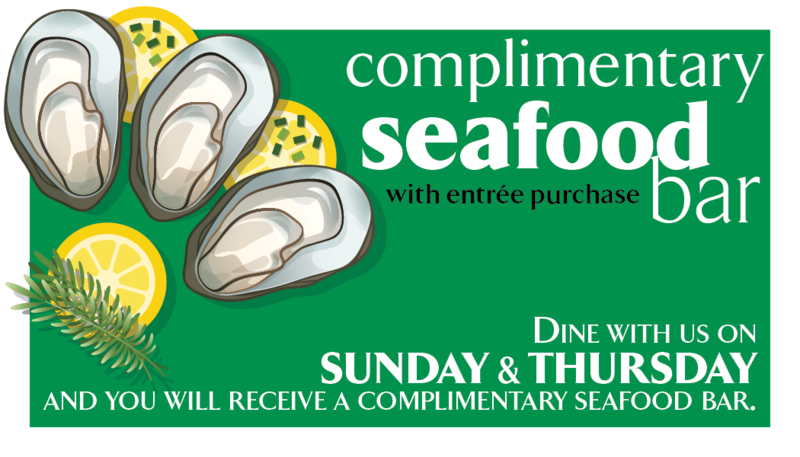 Our Dinner Menu offers a wide array of selections, including prime rib and steaks, a classic chop house collection, seafood and poultry, and exquisite desserts. 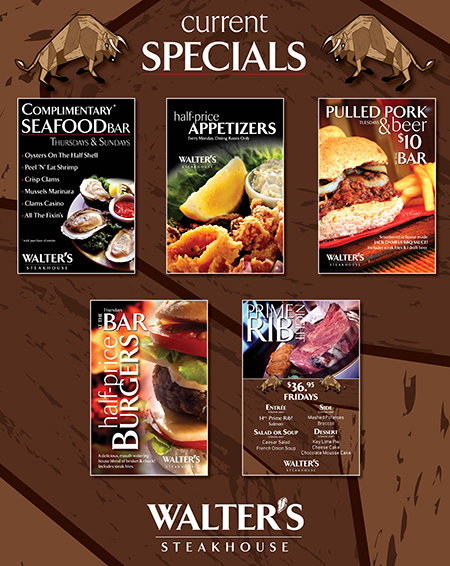 We also offer private dining at Walter's Steakhouse, creating 3 Price Fixed Banquet Menus and a very special Banquet Luncheon Menu. 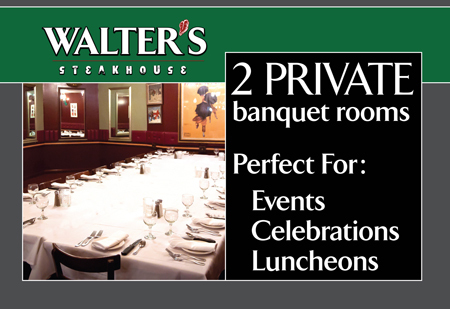 Our banquet rooms host up to 60 people. 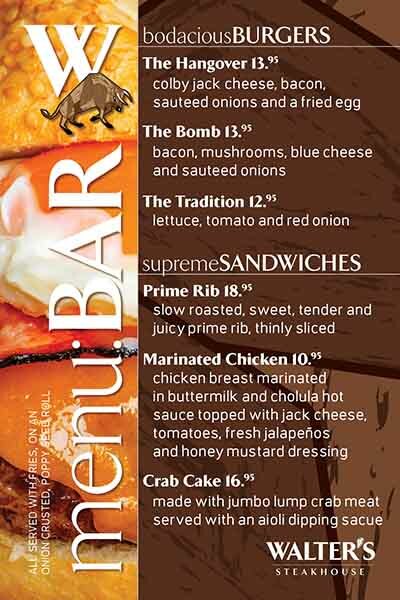 Perfect for a business function or family get together.